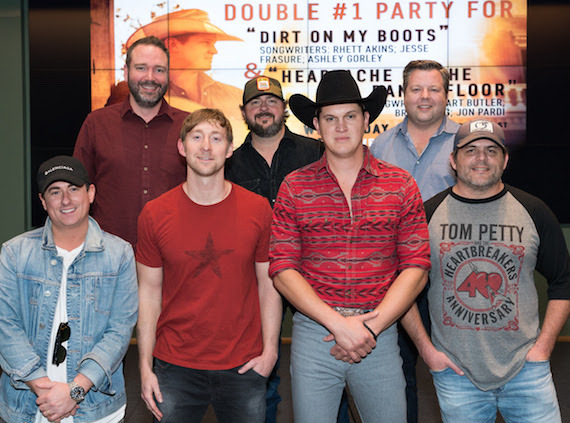 On Wednesday (Feb. 21), Jon Pardi gathered with songwriters, friends, family, and industry executives at BMI’s Nashville offices to celebrate two consecutive chart-topping singles, “Dirt On My Boots” and “Heartache On The Dance Floor.” “Dirt On My Boots,” which marked Pardi’s second No. 1 song, was penned by BMI writers Rhett Akins and Jesse Frasure as well as ASCAP writer Ashley Gorley. “Heartache On The Dancefloor,” Pardi’s third No. 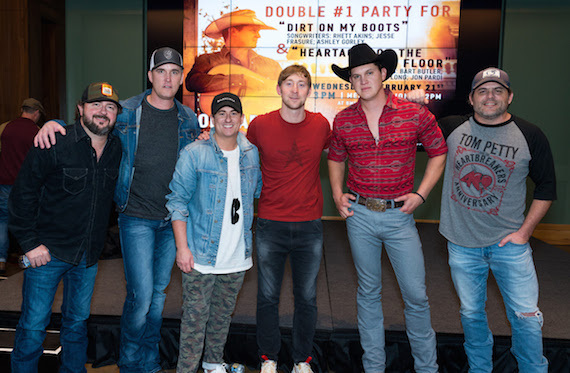 1, was co-written by BMI writers Pardi and Bart Butler, as well as SESAC writer Brice Long. Butler also served as a co-producer on Pardi’s second major label album California Sunrise, which has earned gold status. Representatives from three performing rights organizations were on hand, including BMI’s Bradley Collins, ASCAP’s Michael Martin and SESAC’s Shannan Hatch. Pinnacle Bank made a donation to the Cystic Fibrosis Foundation. 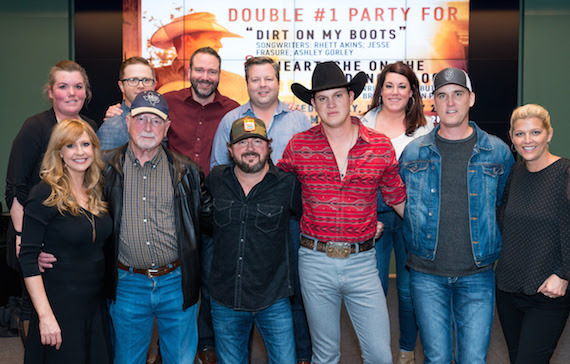 Among those celebrating were MusicRow Magazine’s Sherod Robertson, UMG Nashville’s Mike Dungan, Sony/ATV’s Josh Van Valkenburg, Song Factory’s Jennifer Johnson, Pardi’s manager Melanie Wetherbee, Word Country’s Janine Ebach and more. “Thanks to everybody for coming out,” Pardi said. “It was a great year last year and it’s going to be a great year this year. All I’ve been thinking about is the third record. I’m still cutting outside songs so keep sending them, songwriters. Thank you so much for believing in me and for your great songs.” He also brought his father to the No. 1 party. Jon is currently on tour with Miranda Lambert on the Livin’ Like Hippies Tour and can also be seen out on Luke Bryan’s stadium tour later this year. Top (L-R): Sony/ATV’s Josh Van Valkenburg, Bart Butler and BMI’s Bradley Collins.